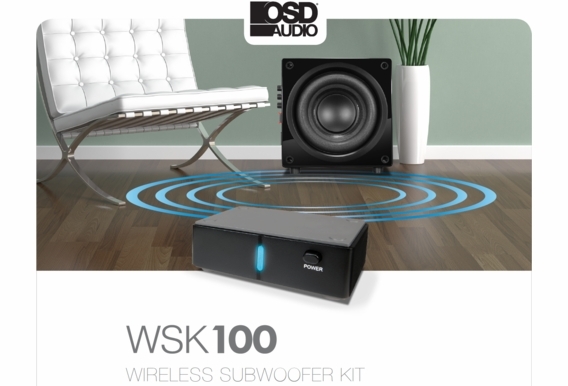 OSD Audio’s WSK-100 2.4G Wireless Subwoofer Transmitter and Receiver Kit allows you to add a powered subwoofer to a new or existing surround sound system without the hassle of having to run cable from the receiver or amp to the sub. What Is a Subwoofer and Why Choose Wireless? A subwoofer is a dedicated bass speaker designed to handle the low frequency effects in audio systems. The “.1” in a 2.1, 5.1 or higher surround sound system, the subwoofer plays a critical role in transforming ordinary sound into a spine-tingling experience, especially on action and adventure films. Because subwoofers handle such low frequencies (typically between 20–200 Hz), you’ll often feel the bass as much as you hear it. Where you place the subwoofer will depend on your room’s acoustics and your own personal taste but placement flexibility is key. Sometimes, the best sound is experienced when the subwoofer is located in a corner, away from the TV and receiver, but this means running cable in the wall, underneath the floor or along the base boards. 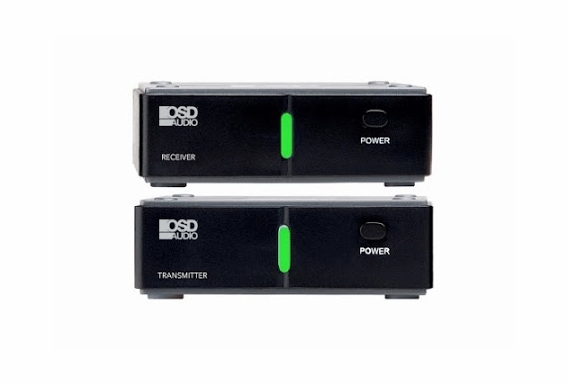 If this is not something you relish doing, OSD Audio’s WSK-100 2.4G Wireless Subwoofer Transmitter and Receiver Kit could be the ideal solution. 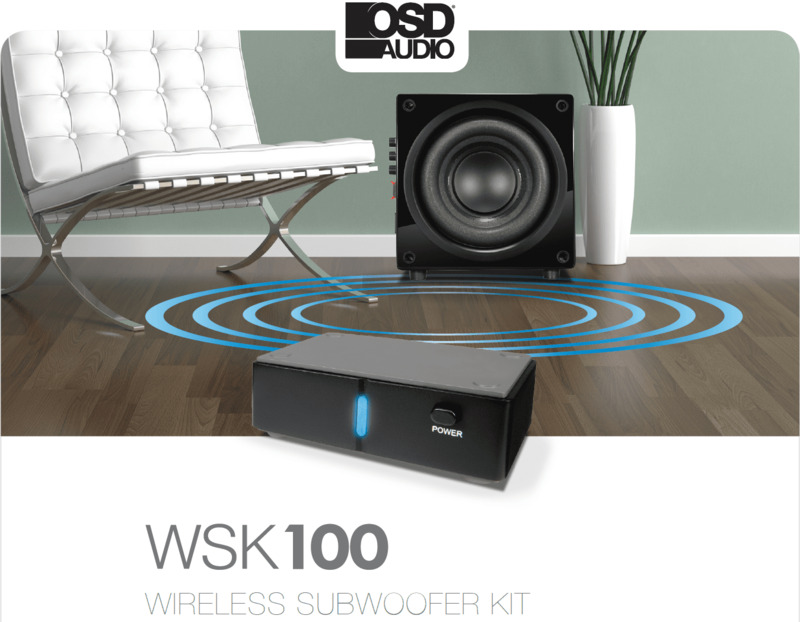 How Does the OSD Audio WSK-100 2.4G Wireless Subwoofer Kit Work? The WSK-100 allows you to locate the sub anywhere there’s an electrical outlet, allowing for much more placement flexibility. Here’s how it works. The kit includes a transmitter and a receiver as well as the necessary cables and power adapters. 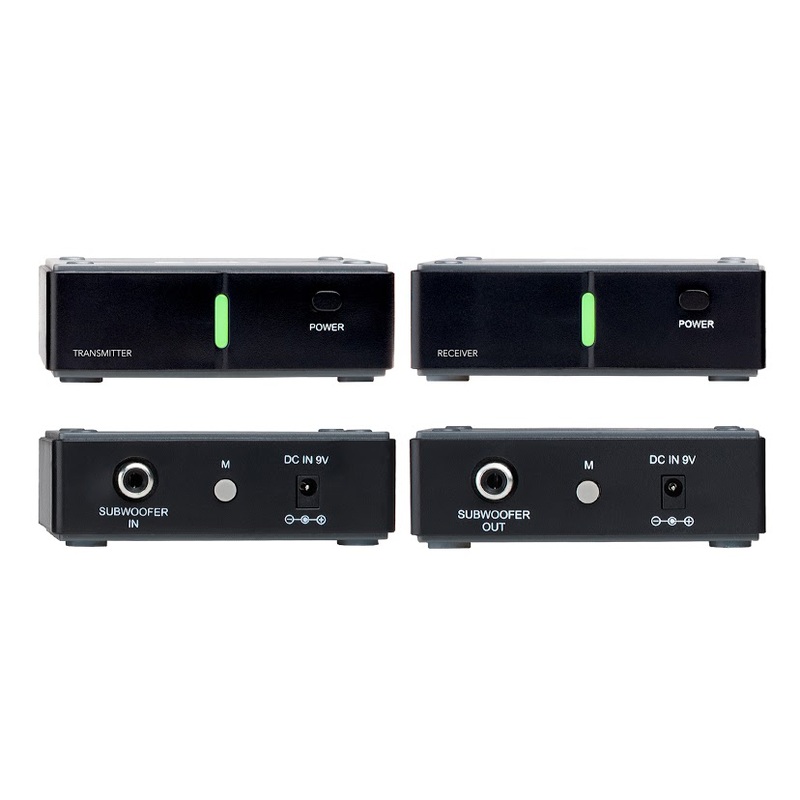 The transmitter connects to your amp or receiver's subwoofer RCA output, then sends a wireless signal over to the kit’s receiver which is connected to your powered subwoofer's RCA input. 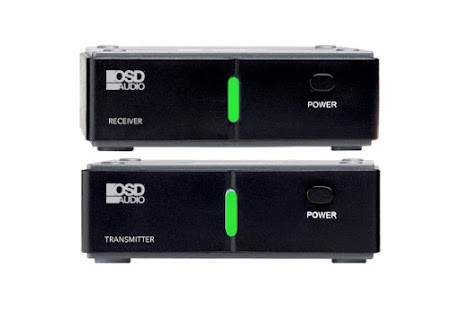 When the transmitter and receiver are within 100ft of each other, the low frequency sound is transmitted to the subwoofer via the 2.4GHz broadcast frequency, the same reliable frequency used by cordless phones, routers and other wireless devices. Because most households have a number of other devices operating on the 2.4GHz frequency, the WSK-100 includes 34-selectable channels so you can dial in on the most reliable and steady signal. While the 2.4GHz frequency works best at line of sight, it’s not a deal breaker so you can hide the subwoofer transmitter/receiver in another room or behind a sofa. Compatible with most receivers, amplifiers and powered subwoofers with RCA inputs/outputs, the WSK-100 gives you more flexibility to place a sub in the absolute sweet spot so you can enjoy the best sounding bass your subwoofer can provide. 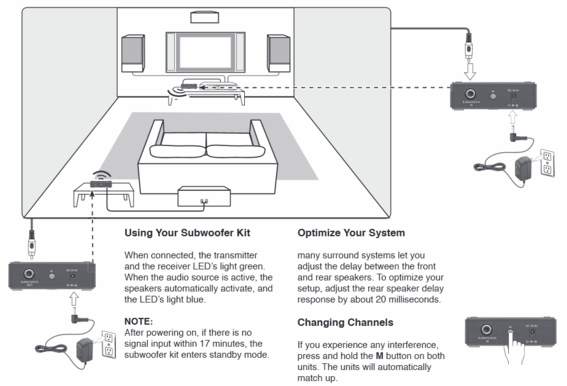 We love what quality bass brings to the home theater experience and invested a lot of time into the sound quality and integrity of our wireless subwoofer kit to ensure the device transmits a reliable signal without latency or drops. We back this wireless subwoofer kit with a 2-year warranty and a 30-day satisfaction guarantee. 2.4GHz digital wireless link provides crystal clear audio. Up to 32ft (10m) operation distance between transmitter and receiver (line of sight). Place the transmitter and receiver within 100ft each other, on a flat surface or mounted on a wall. 1. With the audio source off, connect the transmitter to the subwoofer jack with the RCA cable. 2. Connect the supplied AC adapter (9V, 200mA) to the transmitter DC IN 9V jack, and then plug it into a standard household outlet. 3. 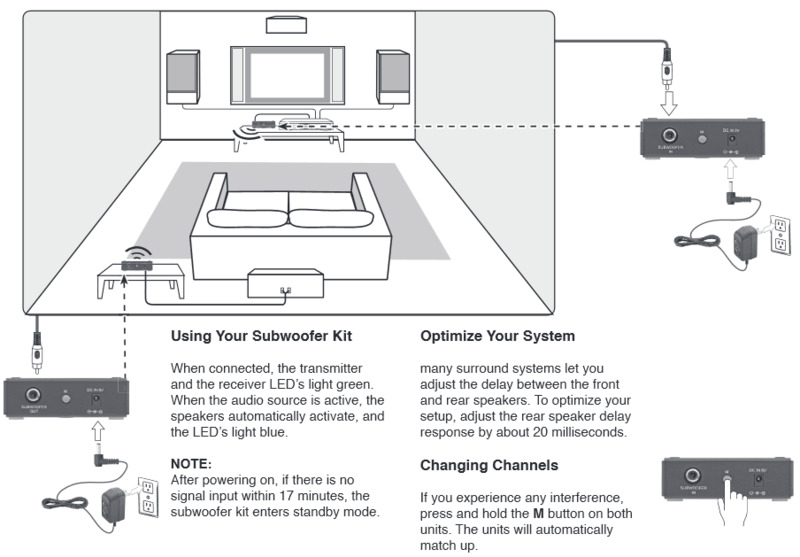 Connect the receiver to your subwoofer with the RCA cable. 4. Connect the supplied AC adapter (9V, 200 mA) to the receiver DC In 9V jack, and then plug it into a standard household outlet. When you connect the power and signal cable, the transmitter and the receiver LED's light green. 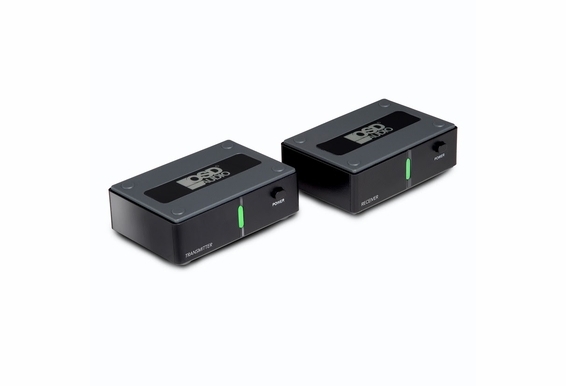 If there's active audio source, the receiver automatically activate and send the signal to subwoofer input. If you experience any interference, press and hold the "M" button on both transmitter and receiver units, both units will automatically change the channel and link. Note: The wireless subwoofer kit will enter into standby mode 17 minutes after there's no signal. 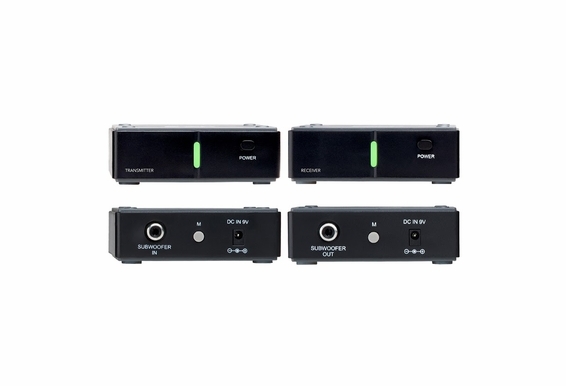 Because my receiver doesnâ€™t have a (sub out) can I use the left or right channel out instead? Will this work to transmit from a room indoors to receive say, on a patio outdoors? In other words, will the signal pass through walls? The distance from the room to the patio is about 50 feet, but there are two interior walls and one exterior wall in between. If it doesn't work, can I return it? I have two subwoofers for my home theatre system, how do I connect two subs to my receiver? How critical is the line of sight requirement? Can it pass through a glass cabinet door? A sofa? Thanks! Will this work on a definitive technology super cube ii ?